When things get rough or situations are unknown, there’s nothing more comfortable than knowing you’ve got a back-up plan tucked away in your steel-toe boots. Boot knives can be used for everything, from survival situations to last resort self-defense. Since they’re often concealed and frequently feature dual-edged blades, you should check with your local laws to see whether there are any restrictions. But if you’re looking to pick up a new boot knife, these seven are among the best on the market. Forged from one solid piece of steel, the Sting is a knife from the great A.G. Russell that features a simple but effective design as reliable as when it was first introduced in the 1970s. The overall length is just under 7 inches with a roughly 3.2-inch dual-edge blade. The blade and handle are made of 1050 carbon steel coated with a black powder finish. A good sheath is essential in a boot knife, and the Sting delivers on that end. 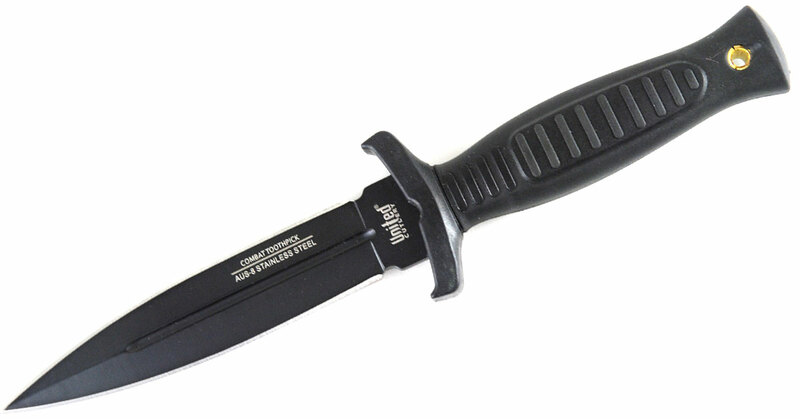 It comes with a custom nylon-stitched sheath with a glass reinforced nylon insert. Russell updated the design not long ago with the Sting 3B, but the original remains one of the best. There are three boot knives on this list with nearly identical designs as the Smith & Wesson SWHRT9B H.R.T. Boot Knife, but we’ve received nothing but praises about the knife. 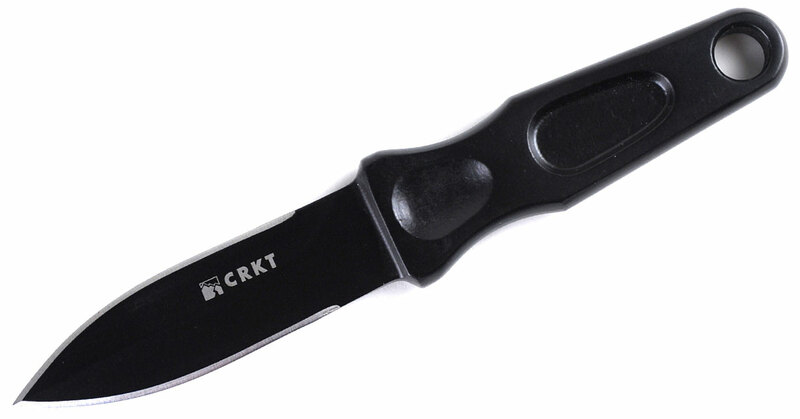 This is one of the best-selling knives at Knife Depot. As I’ve written before, the knife is the perfect choice for a last-ditch weapon when things get rough. A 4.74-inch double-edged blade is made from 7Cr17 high carbon stainless steel and coated with black Teflon. Its shapely handle is wrapped in black rubber while the grooved rings provide extra grip when holding the knife. The leather sheath holds the knife in place with snap fastener. The Cold Steel Kobun is less of a dedicated boot knife than the others but it is more than capable of hanging around on your boot in wait of some action. 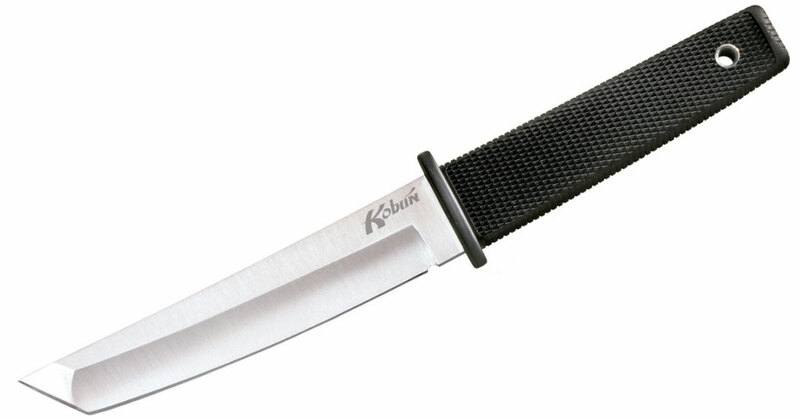 At 4.4 ounces, the Kobun weighs less than the S&W boot knife with a longer blade. The 5.5-inch blade is made from Japanese AUS 8A stainless steel and features the American-style tanto blade that offers a durable design. It’s definitely on the larger end of a boot knife. Its Secure-Ex sheath is a great carry system, which makes pulling at the textured Kray-Ex handle even more reliable. 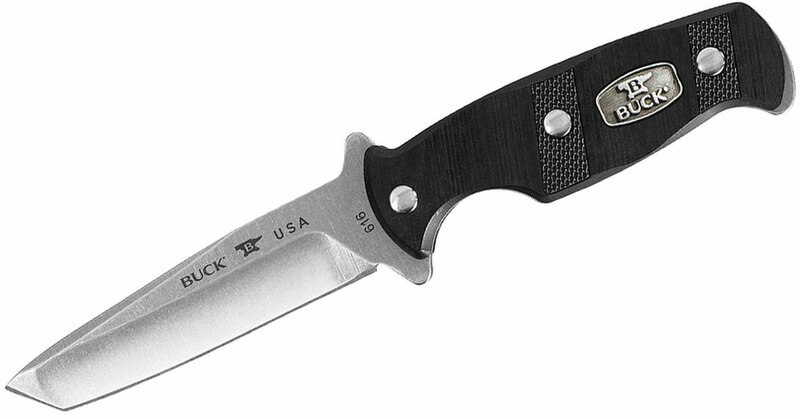 The Buck Ops Boot Knife is unfortunately the only American-made knife on the list and boasts a design that’s unlike the rest. The image above doesn’t really do it justice because this knife is small and compact. It weighs just 2.5 ounces with a 3-inch blade made from quality 154CM steel. 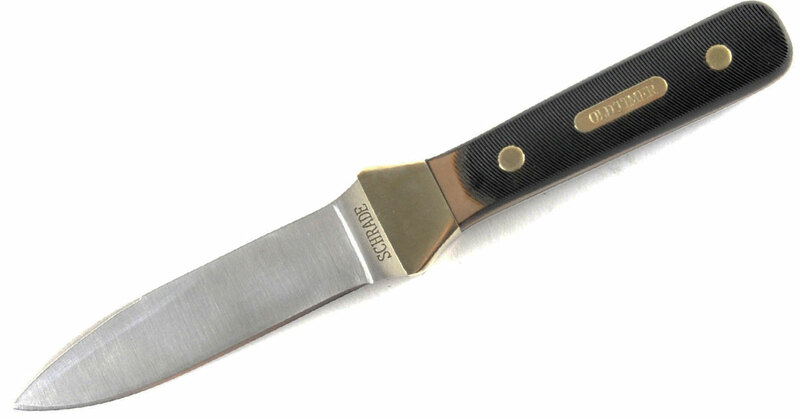 Like the Kobun, it has an American-style blade shape. Unlike the Kobun, the full tang design is seen sandwiched between the G10 handle scales. The sheath is thoroughly fleshed out by Buck and offers a range of carry options that take this boot knife to the next level. The Combat Commander Boot Knife shares design elements with the S&W H.R.T., thanks to the dagger-style design and blade with fuller. Where the two depart is in the blade length. The Combat Commander blade exceeds 5 inches and is made from AUS-8 stainless steel that’s razor sharp. The rubber grip features a different texture that catches on the hand when pulling it out of the leather sheath. 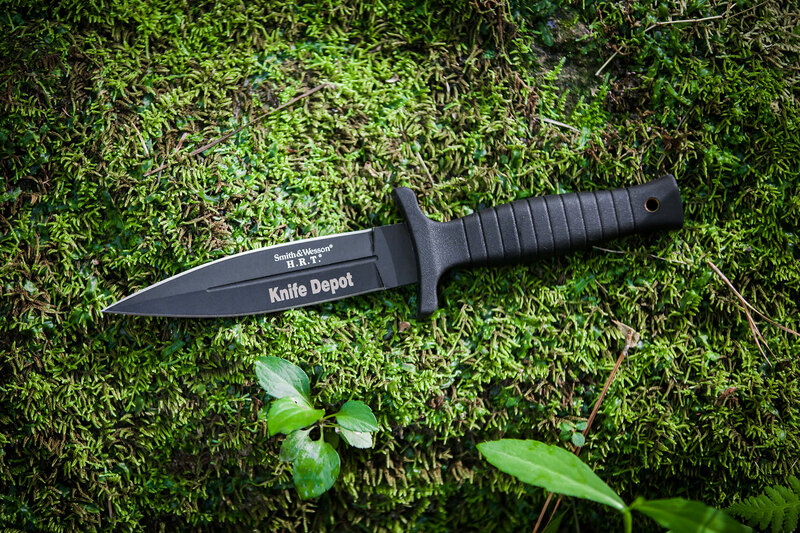 At the time of writing this post, the knife has a 5-star rating on Knife Depot. The Old Timer 162OT Boot Knife set out to be a reliable fixed blade dagger with the styling of a knife that harkens back to the days of granddad. It succeeded and then some. Its sawcut Delrin handles are accented by nickel silver bolsters and brass pins, giving the boot knife a classic look. The 4-inch handle is made from 7Cr17 high carbon steel. Its sheath is a major downside, however. It is a handsome brown leather but does not come with a clip for the boot. Instead, it is designed to be on a belt loop, although some quick improvising could have this wrapped around your boot in no time. If you don’t believe how popular this knife has become as a boot knife, just take a look at all the iterations that are available. Sure, the design is very similar to the S&W and United Cutlery knives, but the SCHF19 is much smaller. The black 7Cr17 steel blade is only 3.6 inches. The TPE overmold handle is lightly textured while the black leather sheath can be worn on the boot or belt. You can also get it in a bigger size with a 4.8-inch blade or with a pink handle. 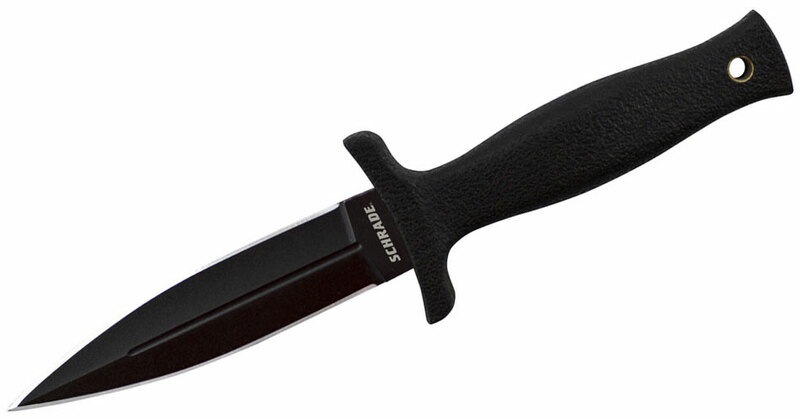 All these boot knives are super amazing but I will choose Schrade SCHF19 Boot Knife.